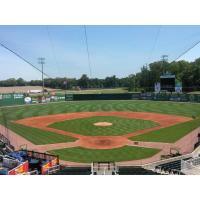 Jackson, Tenn. - The Jackson Generals made history this week, earning annual state-wide recognition from the Tennessee Turfgrass Association for the second year in a row. 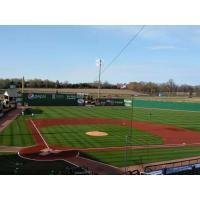 The TTA honored The Ballpark at Jackson as the Professional Field of the Year in the Volunteer State, marking the second victory in as many seasons for the Jackson grounds crew and sport turf manager Eric Taylor. 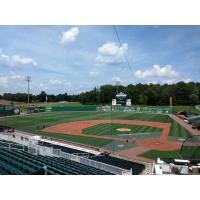 The Ballpark at Jackson is the first facility in more than 50 years to win the award in back-to-back seasons. 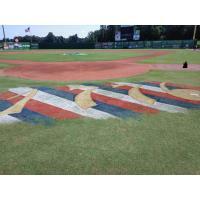 The playing surface at The Ballpark, a mix of rye and Bermuda grasses, hosted 74 home baseball games during the 2018 Minor League Baseball season, including four postseason games for the 2018 Southern League champion Generals. Additionally, the field withstood considerable traffic from vehicles, equipment, and pedestrians during concerts headlined by hip-hop star Nelly in April and country music star Jake Owen in June. "I couldn't be prouder of Eric and his guys," Jackson GM Jason Compton said. "They did a phenomenal job. 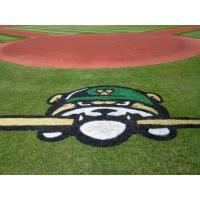 Our field never looked better, and to win Pro Field of the Year in back-to-back years is just a testament to all of the hours and hard work that those guys invested into it." Taylor, a native of Hokes Bluff, Ala., came to Jackson in 2017 from the Birmingham Barons. His 20-year career in turf management includes a stint with the Atlanta Braves, as well as the Bethpage "Black" Course in Long Island, New York, which hosted the 2002 and 2009 U.S. Open golf championships. The Generals' 2018 grounds crew defended their 2017 Pro Field of the Year title with considerable sweat poured out by Jonathan Newcom, Zach Robinson, Alan Rickman, Chase Diggs, Braden Mileham, Brian McDowell, Natasha Flatt, Brent Barker, and Philip Orange. "It's an extreme honor," Taylor said. "What we accomplished here in two years hasn't been done a lot of places, and I'm thankful to have had so many people making sure we had great success. We can't do it alone. The front office, the coaching staff, and all the players coordinated with us, and I appreciate their patience." Despite several rain-delayed contests, The Ballpark at Jackson suffered only two postponements in 2018. 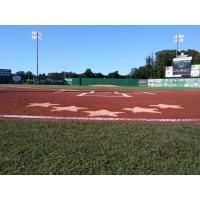 The field also played host to the 2018 Billy Schrivner High School All-Star Game, youth baseball camps, boy scout camp-outs, a local dodgeball tournament organized by Englewood Baptist Church, and daily practice throughout the Generals' 140-game regular season and two weeks of playoffs. The league champion Generals will begin their title defense in April 2019, with their home opener set for April 10 at 6:05 pm CT against Chattanooga. For further information on tickets or merchandise, contact the team by calling (731) 988.5299 or go online to jacksongeneralsbaseball.com!